These affordable, durable mini brushes are the perfect choice for super-detailed work. Micron brushes employ the finest synthetic hair, with seamless ferrules and unique, tri-color lacquered white birch handles. Larger-than-usual handle diameter (5/16 inch) gives you all-day expert control with any kind of paint. Brush length: 6-3/4 inches. 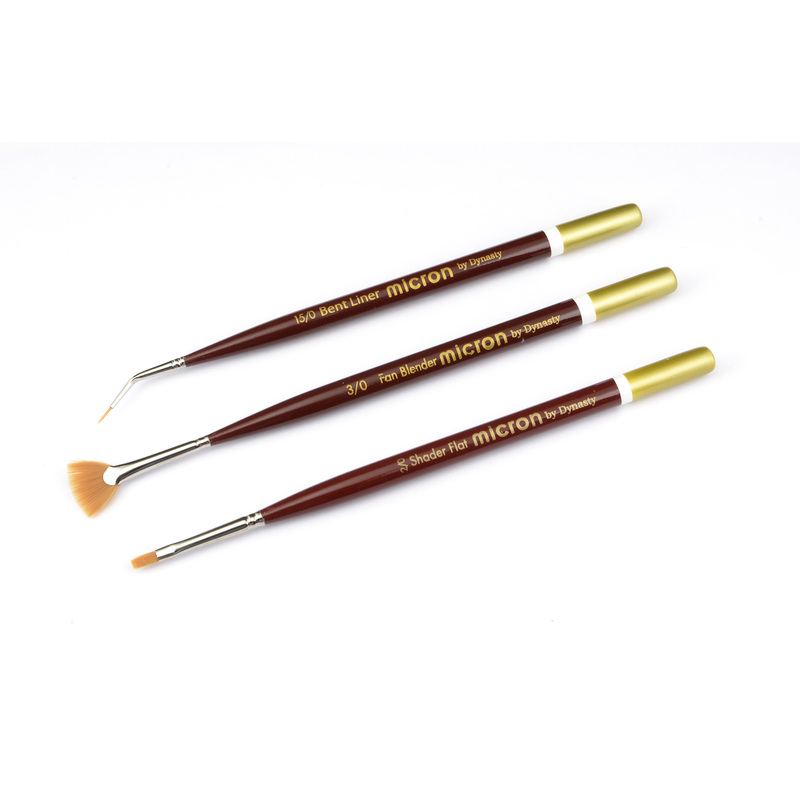 3-brush set includes bent liner 15/0, fan blender 3/0 and shader flat 2/0.